This video slideshow shines a light on some Helen films that haven't been seen since they were originally released many years ago. They are presumed to be lost forever.The complete total of lost Helen films most likely numbers over 100. 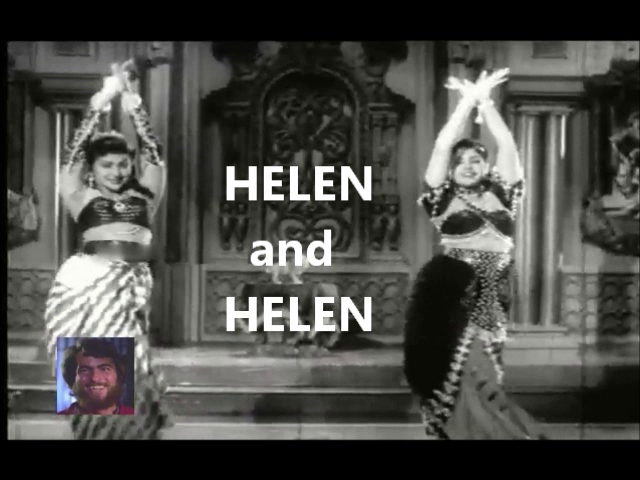 In addition, many Helen films that have been released are censored versions that edited out her dances. Such films include Rail Ka Dibba, Khazanchi, Return of Superman, Barkha Bahaar and many others. The audio for this video is from a lost Helen film. The song is Jhoom Jhoom Ke Jaam Choom Ke. Singer: Geeta Dutt. Film: Coffee House (1957). Music: Roshan. Lyrics: Prem Dhawan. Actors: Geeta Bali, Shammi Kapoor. 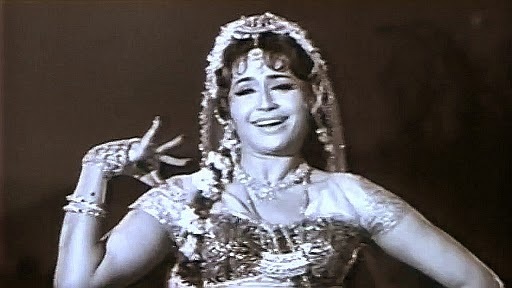 Helen had many copycats throughout her long and storied career in Bollywood. But none was more blatant than Madhumati. 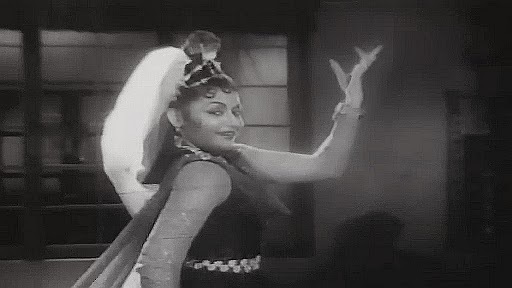 Here she performs in Suno Zindagi Gaati Hai from Pagla Kahin Ka (1970); during which she hopelessly mimics Helen while Helen bemusedly watches from the audience. According to Wikepedia, Chutney music is a form indigenous to the southern Caribbean, popular in Guyana, Trinidad and Suriname. It derives elements from traditional Indian music and popular Trinidadian Soca music. This contemporary fusion of genres was created by Indo-Caribbean people whose ancestors were from Bihar, Uttar Pradesh, Bengal and the South Indian area around Madras. Enjoy Guyana's Terry Gajraj and Trinidad's Rikki Jai as each performs one of their biggest hits. This is followed by a video from a fine local band from Suriname. Helen dances to an Arabic/Tribal/Funk/Disco :o fusion instrumental in Raakhi Ki Saugandh (1979).